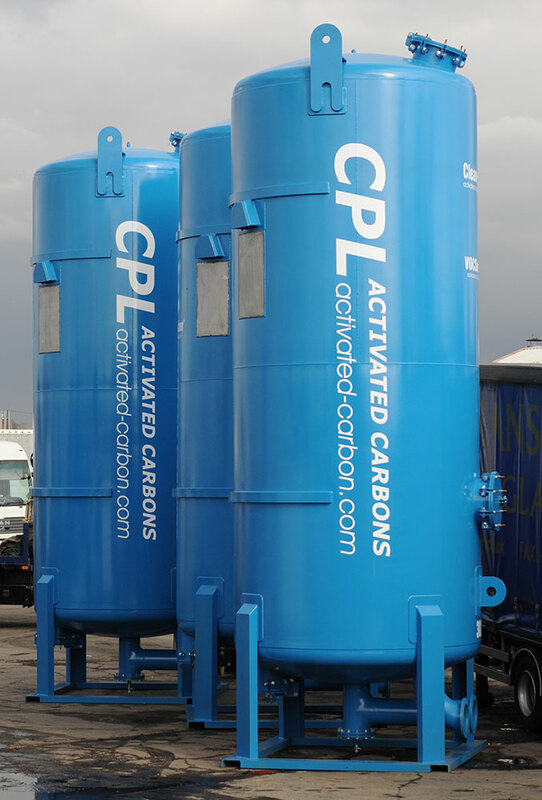 CPL Activated Carbons has a large and expanding fleet of Clean-Flo® mobile carbon filter vessels/adsorbers, which can be supplied to customers at short notice, on a rental/service basis. 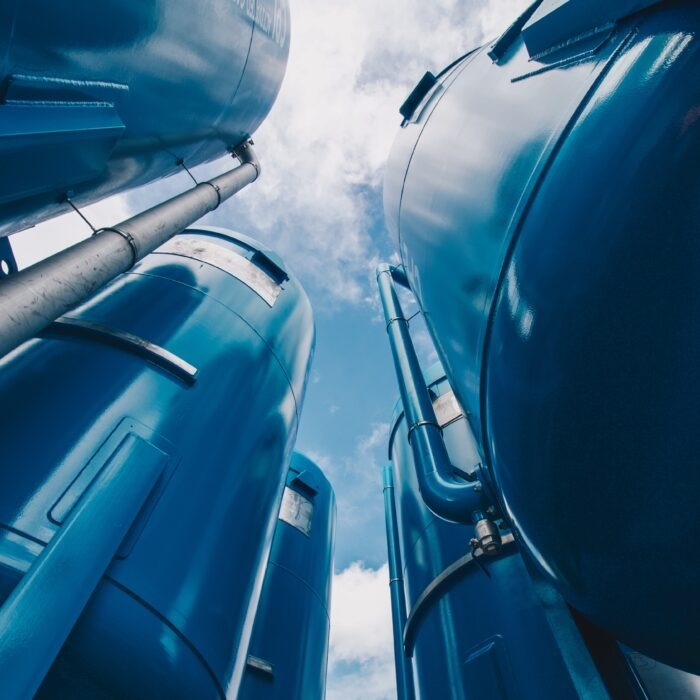 The vessels are pre-filled with our high quality Filtracarb® granular or extruded activated carbons, and delivered to customer sites ready for connection to existing pipework. 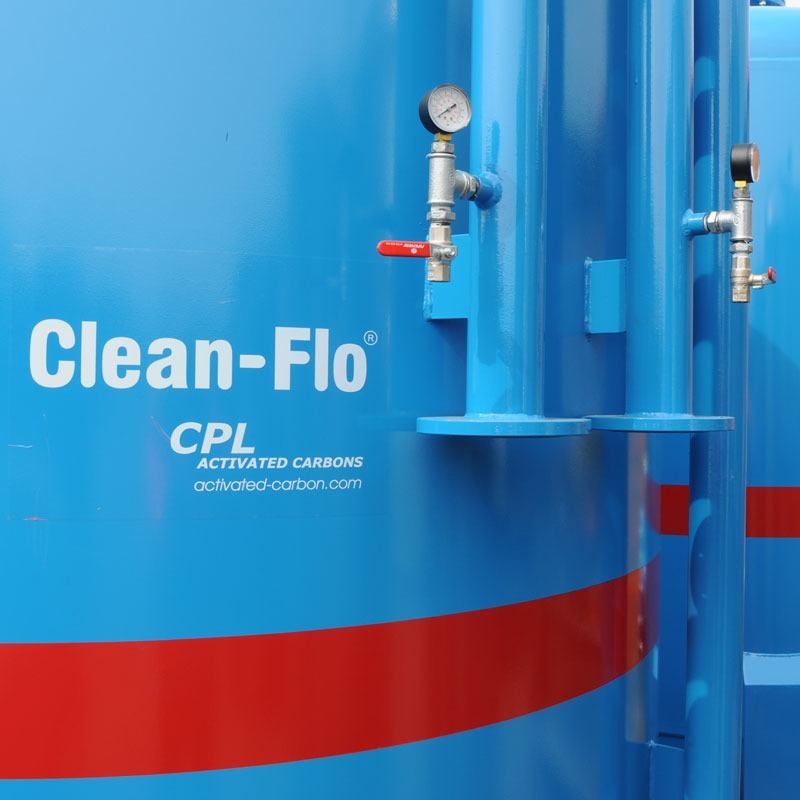 When the carbon is spent, or the treatment objective is no longer being achieved, the mobile filter vessel can simply be exchanged with a replacement vessel. 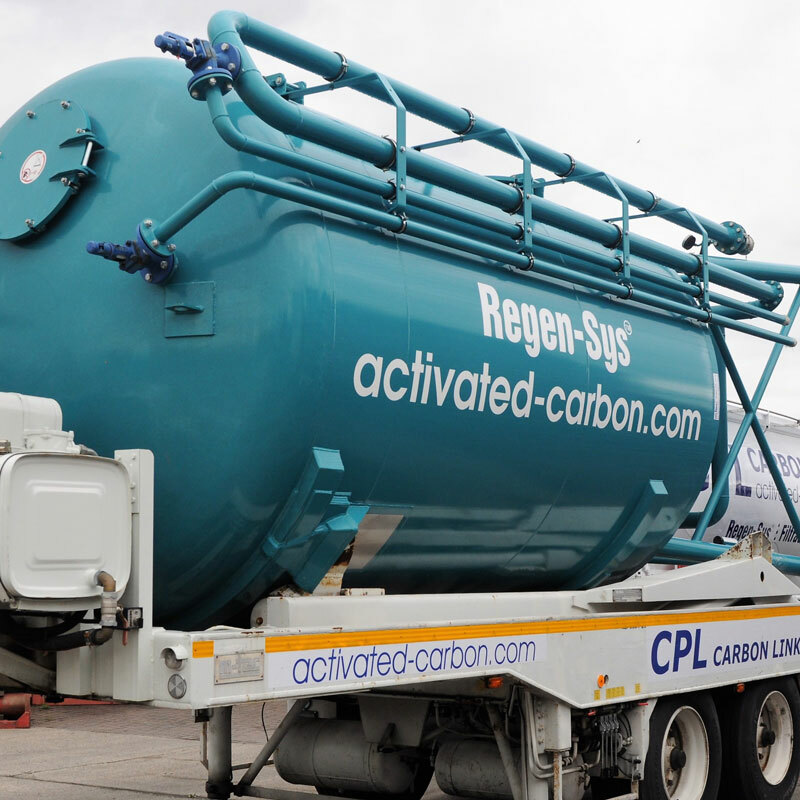 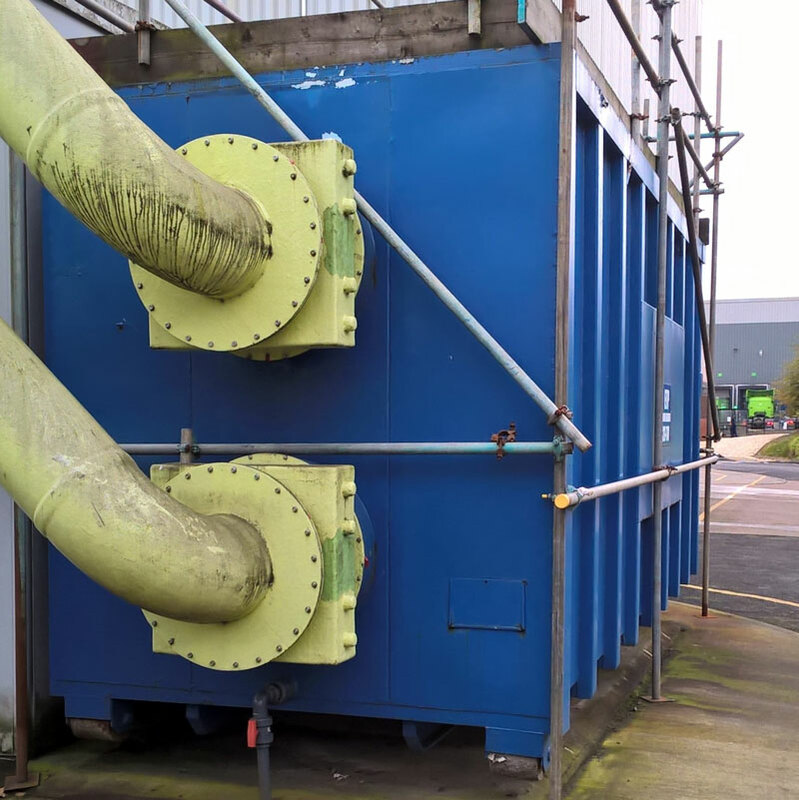 The spent carbon is returned to one of our Services Centres, where it is either sent for regeneration (recycling via thermal reactivation) or disposal. 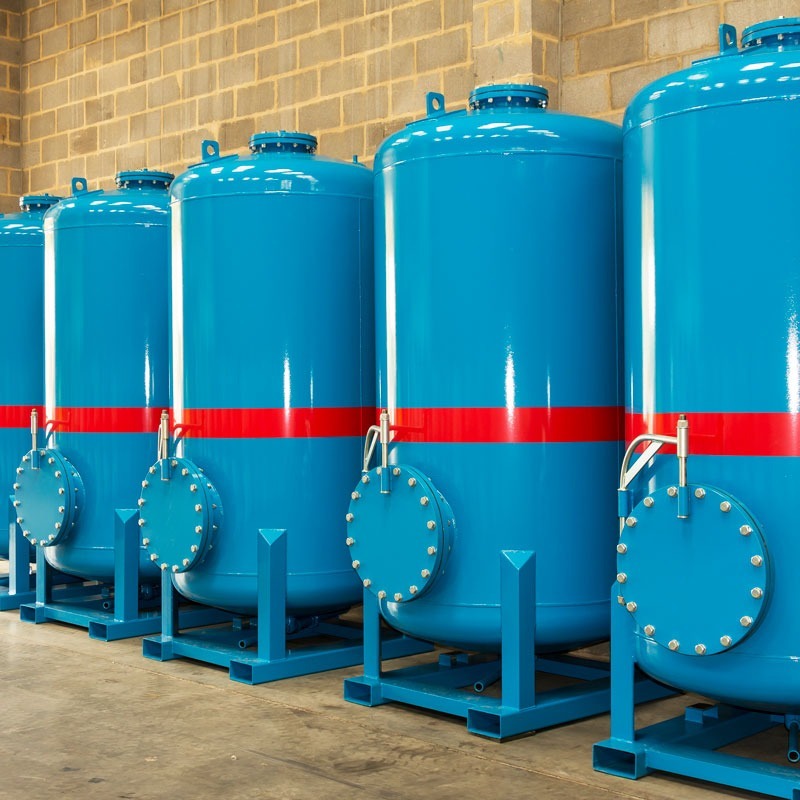 Hover over image for details. 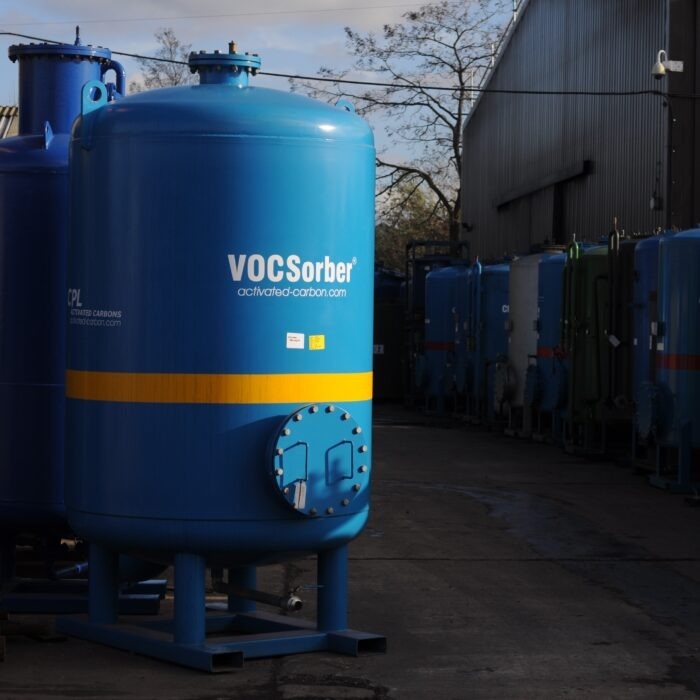 In addition to the above standard range of VOCSorber® filters, we can also supply specially designed ‘high flow’ annular variants. 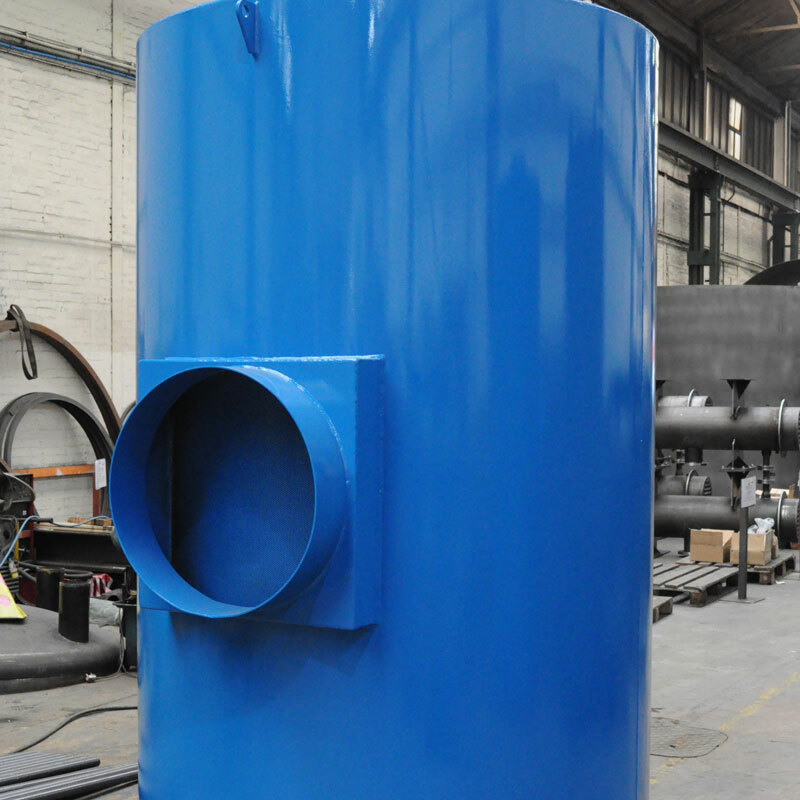 These are typically of 1.9m3 (HF1.9) or 3.8m3 (HF3.8) volume and can be supplied on a rental or sales basis. 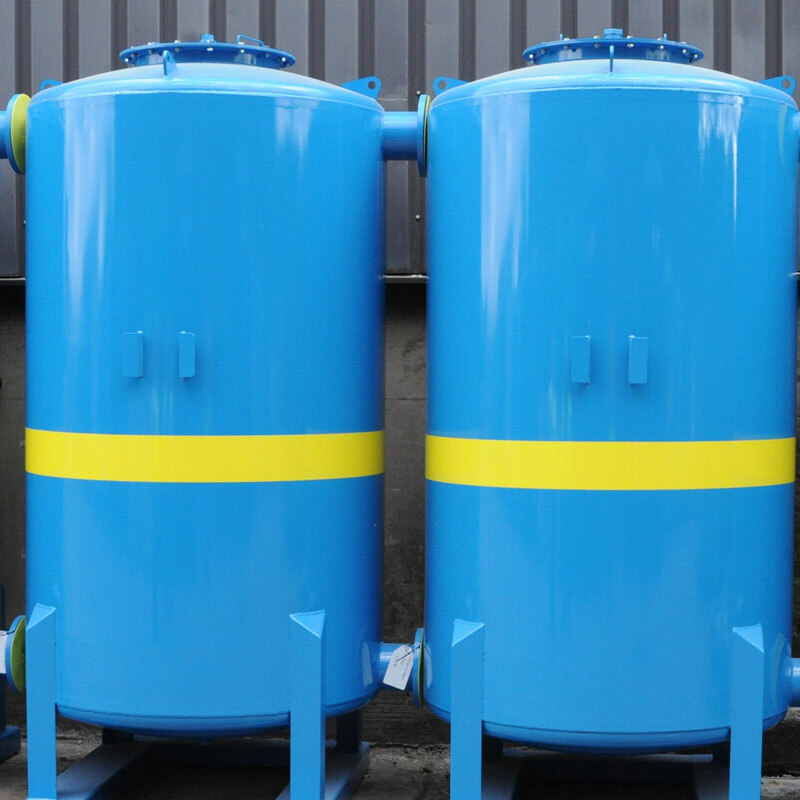 We also have larger versions available, namely the HF16 and HF24 units. 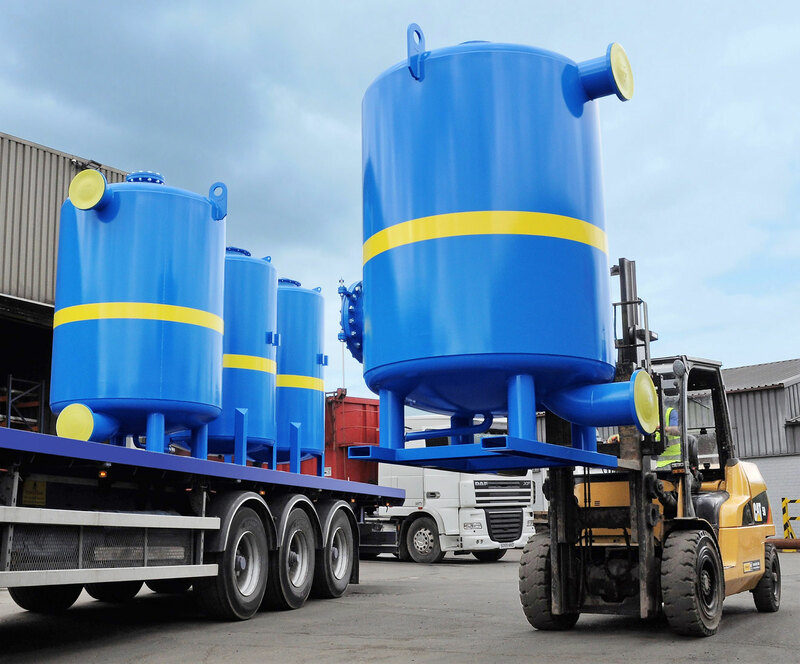 The 2m3 and 5m3 Clean-Flo® vessels are generally delivered to a customer site on a flatbed truck and manipulation can easily be achieved either via forklift truck, or via the delivery truck’s HIAB-type crane unit (if specified in advance). 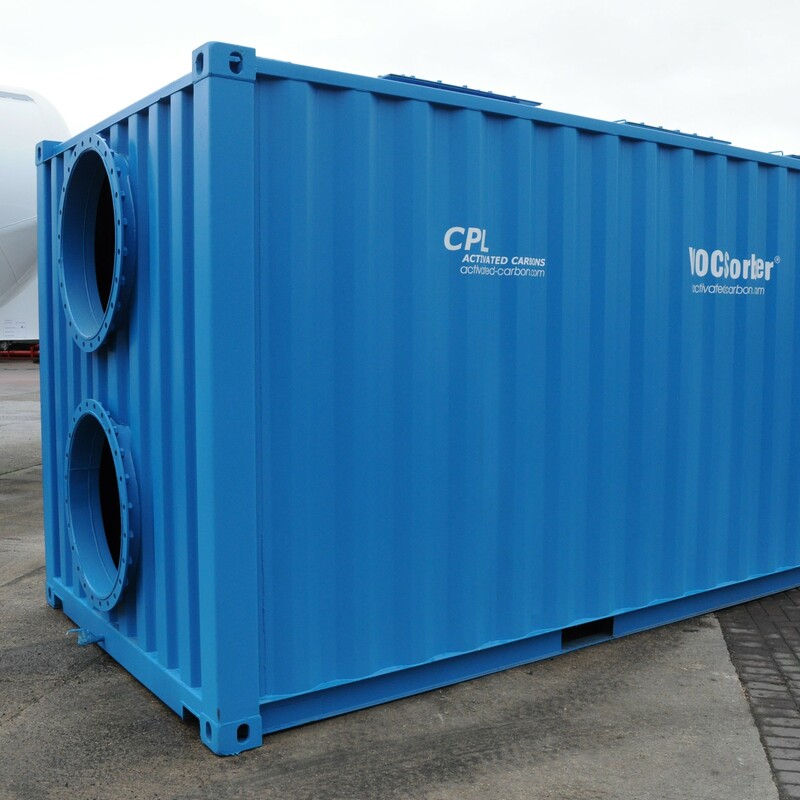 The larger 22m3 and 30m3 units have their own dedicated tipping trailer, as shown in the image above (see 22-60 unit) and on our Home Page. 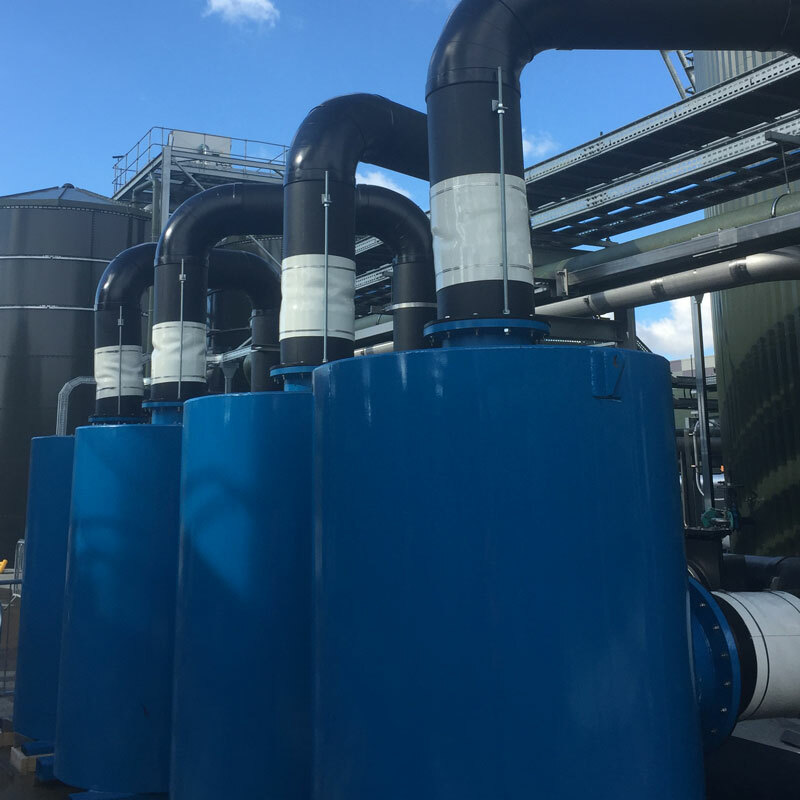 Our experienced Site Services team is available to assist with all aspects of carbon filter installation and changeout. 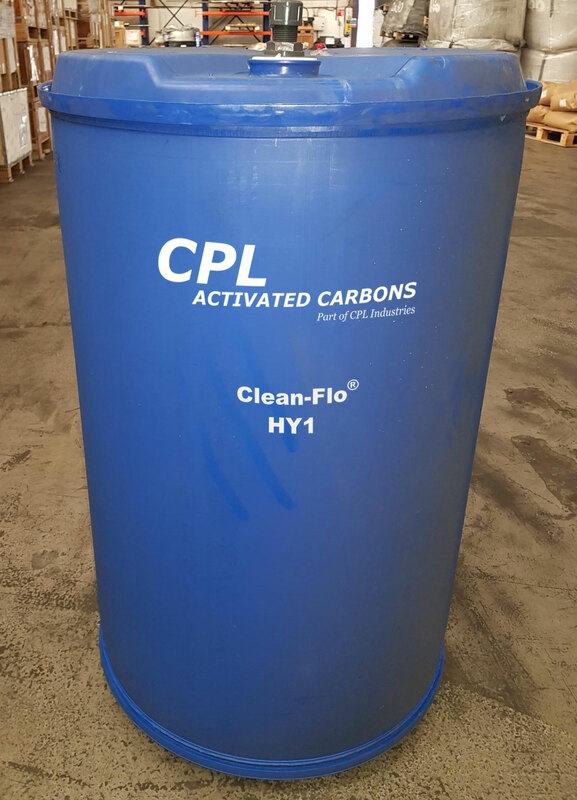 As an optional service, we can arrange for take-back and disposal of the single-use AT1/HY1 drums. 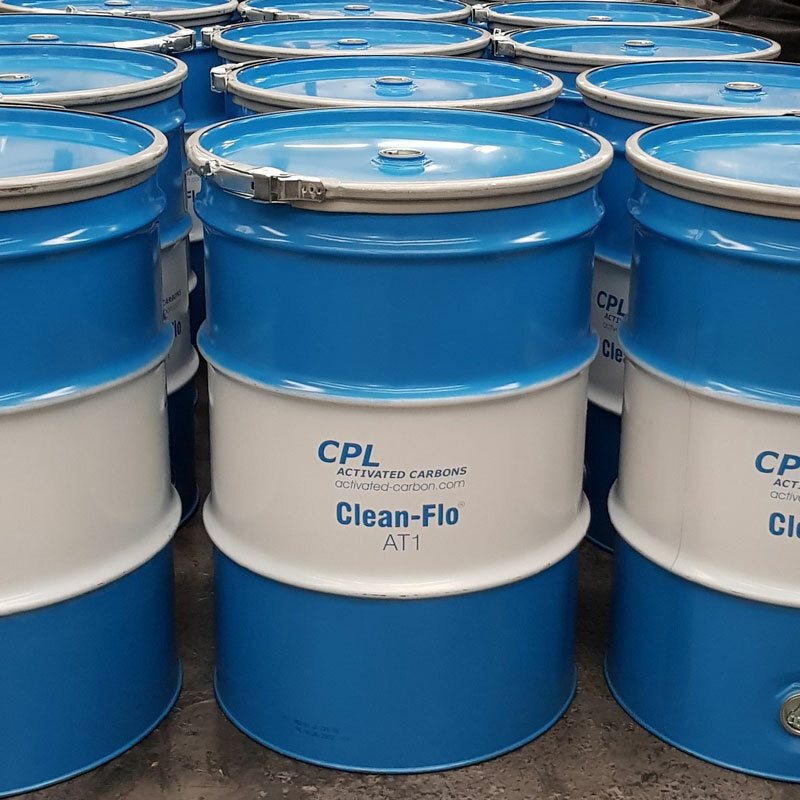 In addition to the supply of mobile carbon filters, CPL Activated Carbons can also assist customers with the design and build of fixed filter installations, including pipework and other peripherals, thanks to our extensive engineering capability and our subsidiary CPL Icon.